Patrick J. Gump is a shareholder and member of the Management Committee of McNeal Schick Archibald & Biro Co., LPA in Cleveland, Ohio. Patrick’s practice is dedicated to civil litigation, construction law and insurance coverage matters. He has worked extensively in the defense of architects, engineers, and contractors in construction disputes. Patrick also represents various individuals, businesses and insurance companies in the defense of personal injury and wrongful death cases arising out of industrial, construction and motor vehicle accidents. Patrick’s representation of individuals, businesses and insurance carriers has allowed him to practice in municipal, state and federal courts throughout Ohio. He has also counseled clients on a variety of issues including the scope of insurance coverage, claim investigations, and an insurance carrier’s duty to defend and indemnify. Patrick is a member of the Cleveland Association of Civil Trial Attorneys and the Cleveland Metropolitan Bar Association. 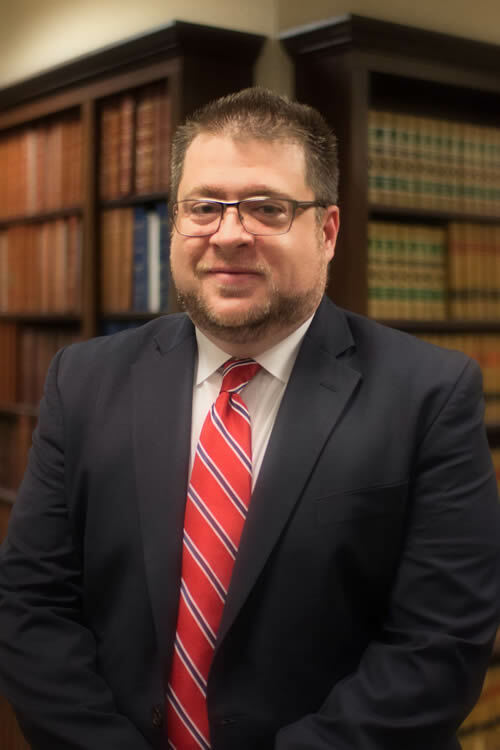 Patrick earned his Juris Doctor from Cleveland-Marshall College of Law, Cleveland State University in 2006 and his Bachelor of Arts in Political Science with a focus in American Politics in 2002 from Kent State University. After being admitted to the Ohio Bar, he served as Judicial Staff Attorney for the Hon. Kathleen Ann Sutula at the Cuyahoga County Court of Common Pleas. He is also admitted to the United States District Court, Northern District of Ohio.